This March, we're experiencing some serious silk madness here at the Woolery! When most people think luxury, they think of silk. 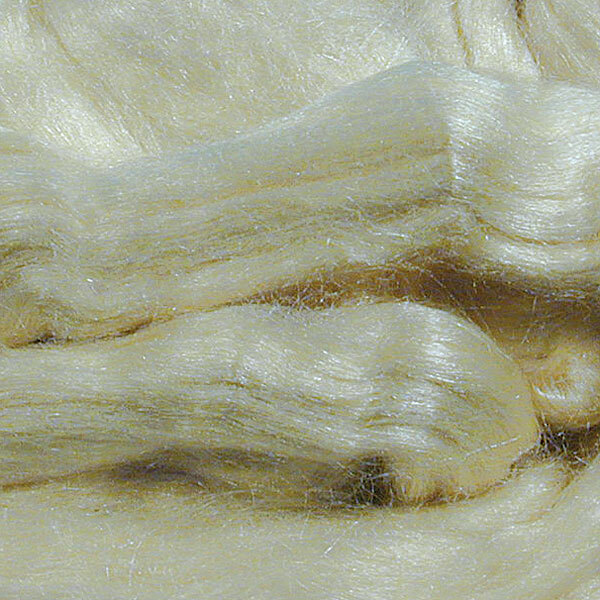 It's soft and smooth, adding a signature shine to any fiber it's blended with. The trade of silk dates back thousands of years; you may have heard of the Silk Road, which was a 4,000-mile long route linking China to India, the middle east, and Europe. The trade of this valuable fiber was so important, a wall was built to protect the route - also known as the Great Wall of China, which can be seen from outer space! There are two classifications of silk: tussah and bombyx. Tussah silk is sometimes referred to as "wild" silk because the fiber can be produced both in the wild and captivity; the moths feed on several types of vegetation, most of which contains tannins which give the fiber a range of colors from pale cream to dark brown. 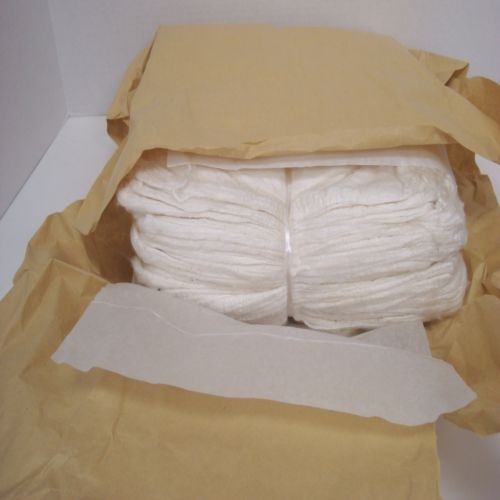 However, the term tussah silk is now used to commonly mean any silk that isn't bombyx: that is, cultivated using several different (yet closely-related) moths who are fed only chopped mulberry leaves, which produces the purest white fiber. Reeled, which is the finest grade available, though it is most often reserved for commercial-produced textiles. 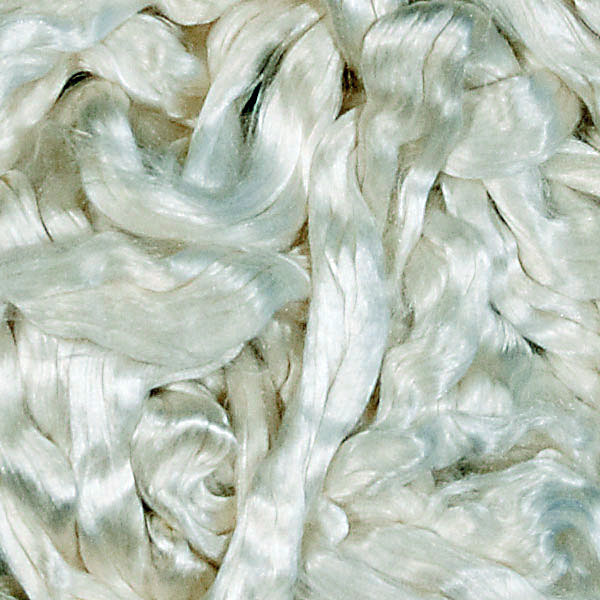 Spun silk, which is most commonly found in yarn and is generally made using the waste silk from the reeling process. 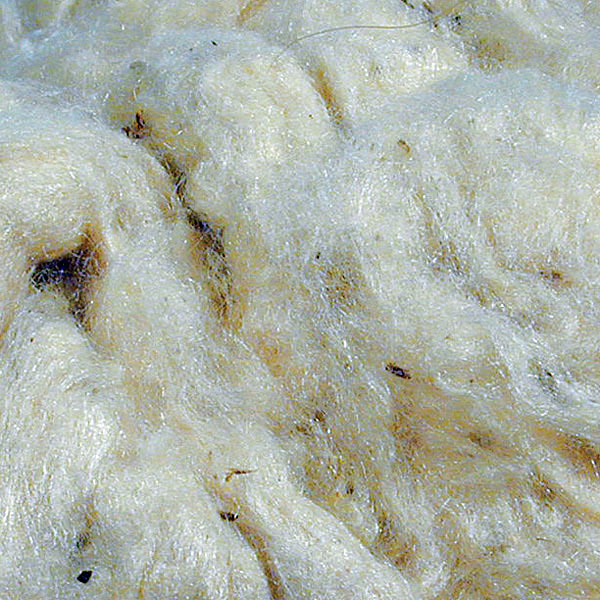 Noils, which are fibers left over from the carding and combing process; they are easy to dye, and create a textured yarn with flecks of the dyed colors when blended into wool. They can also be used in paper-making! 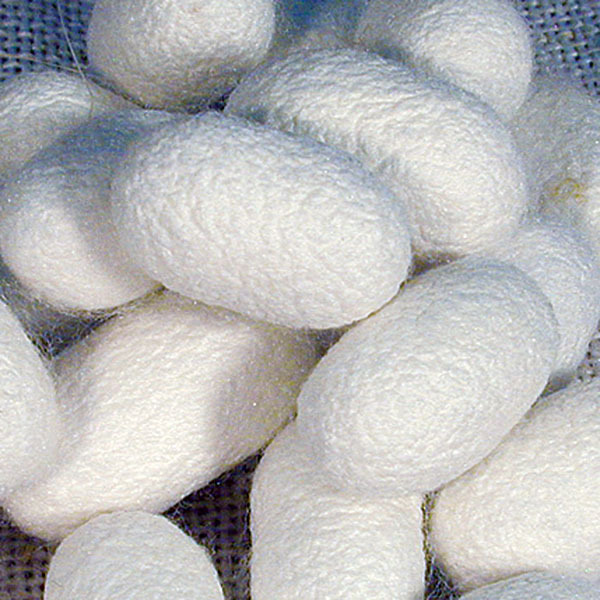 Spinners are fortunate to not only have a variety of prepared silk fibers and fiber blends available to them, they can also purchase silk cocoons, hankies, or caps. A cap is similar to a hankie, but it has a round shape, while a hankie (pictured above) has a square shape. To spin from either a cap or a hankie, simply work from the center, making a hole and stretching the fibers with your hands far apart. After it is stretched, break the circle where it is thinnest and draw the fiber out until it is manageable (thin enough in diameter) for you to spin. Spinning from silk cocoons requires a bit more preparation; click here to read an informative article on KnittySpin which will walk you through the steps from start to finish! Our next blog post will feature special guest Jillian Moreno, who will be sharing her silk-spinning stories and expertise with us!